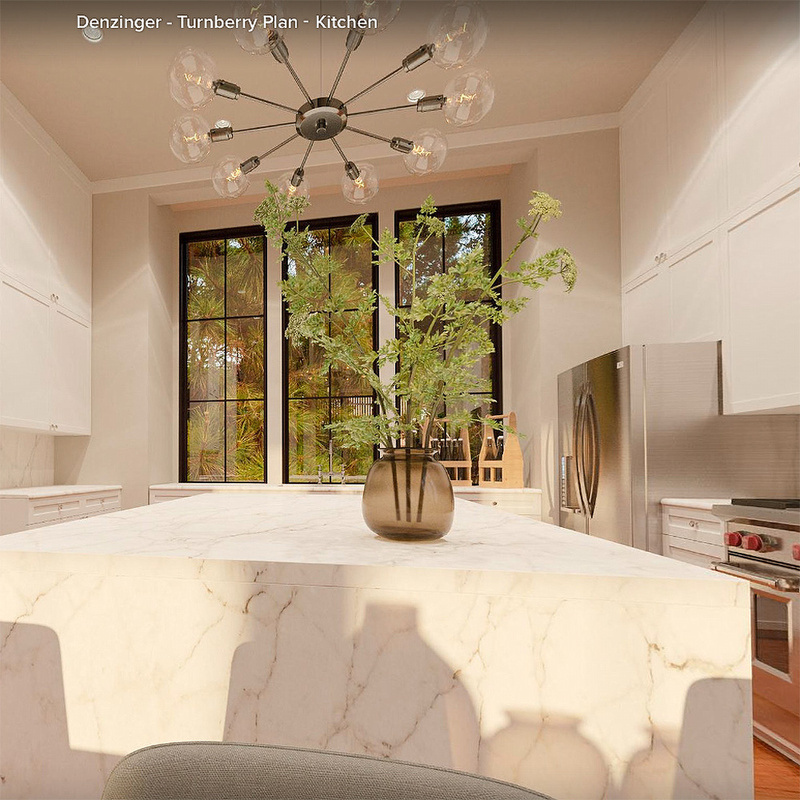 Kiawah Partners, the developer of luxury community Kiawah Island, had created a new neighborhood in Cassique, a private Kiawah Island Club community. 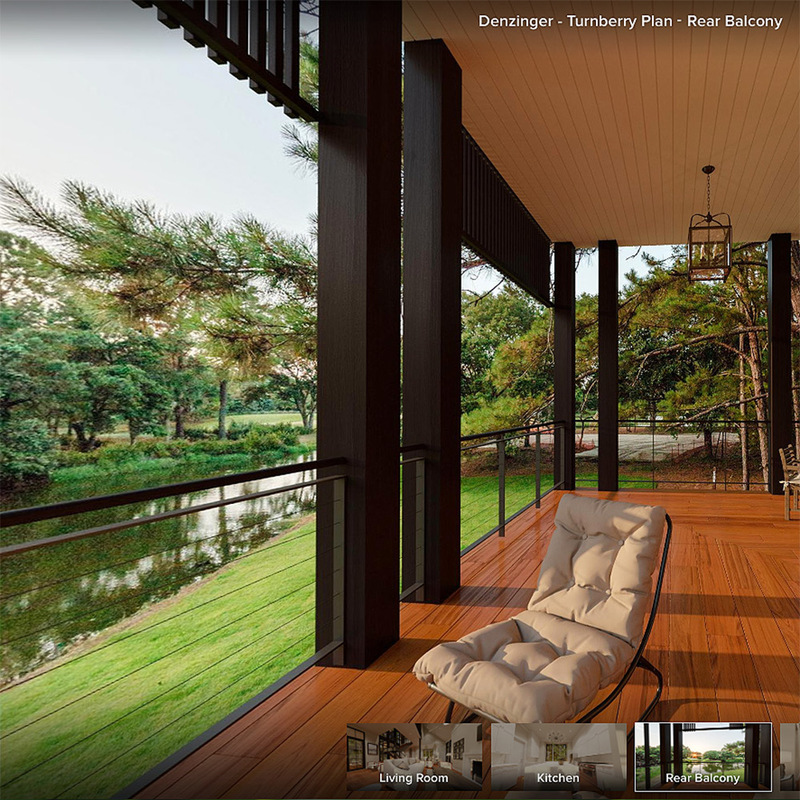 Located on the western edge of an island that was named America's No. 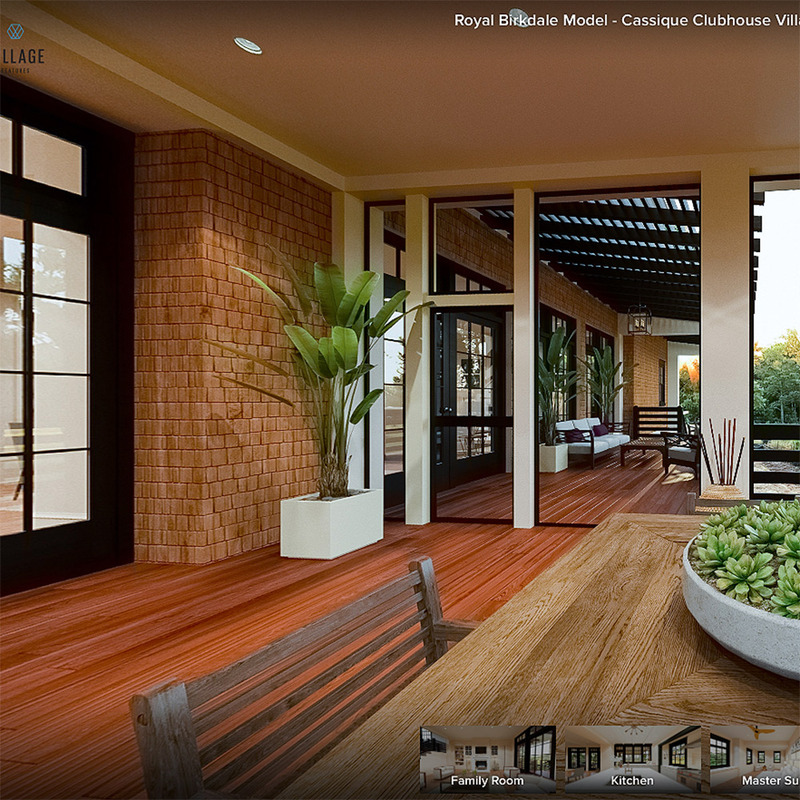 1 Island by Condé Nast Traveler magazine and has been named to Barron's PENTA's list of the top locales for second homes for eight consecutive years, the new Clubhouse Village neighborhood would border a Scottish-links-style golf course designed by five-time British Open champion Tom Watson, and its clubhouse, with a top-tier dining menu created with Chef Tom Colicchio of BravoTV's Top Chef. 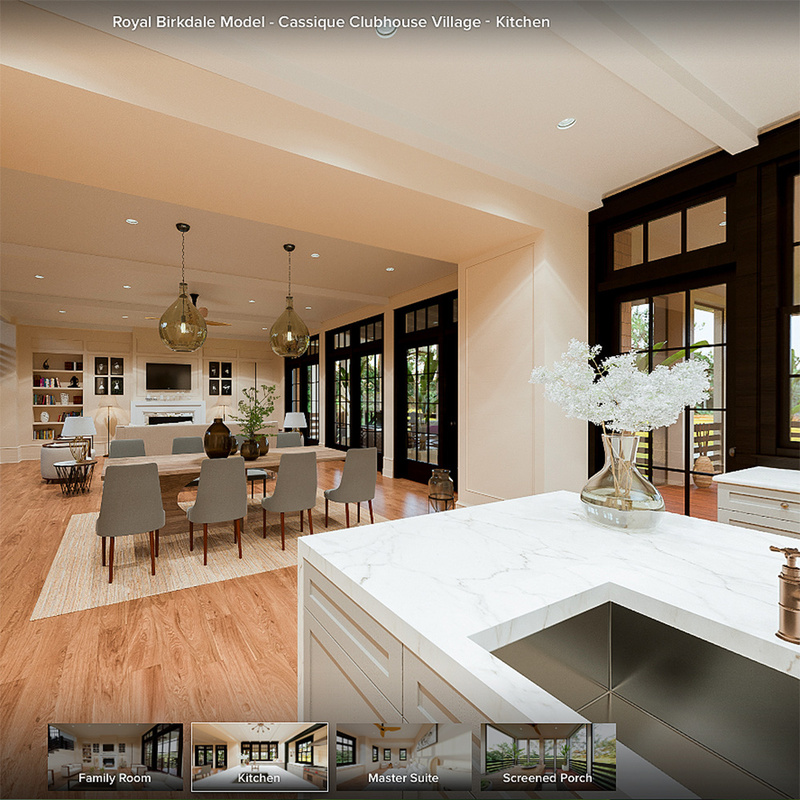 Five luxury home models would be positioned to showcase waterside and fairway views, with exteriors mirroring Cassique's British Arts and Crafts architecture, generous outdoor living spaces, and interiors that opened up into the kind of light, high-ceilinged spaces typical of Kiawah's most desirable coastal homes. 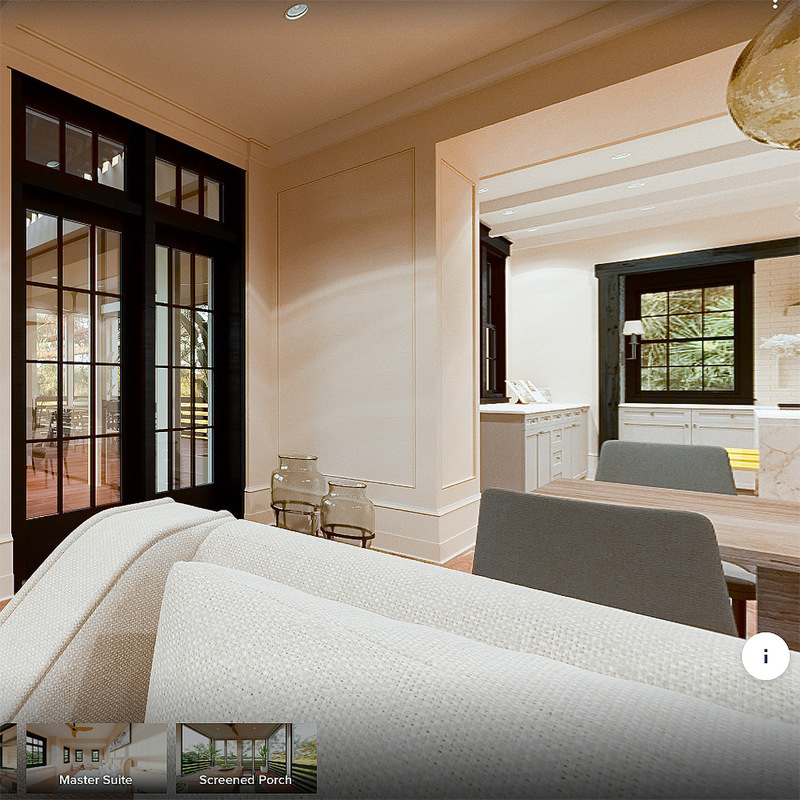 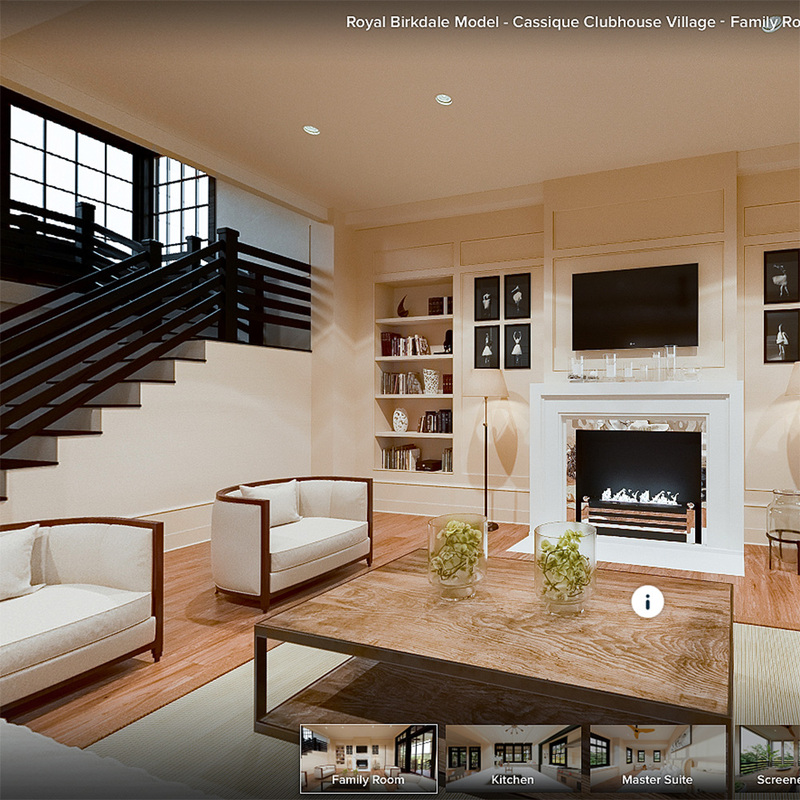 Kiawah Partners engaged us to create virtual reality tours of three of the home plans, one of which quickly sold out. 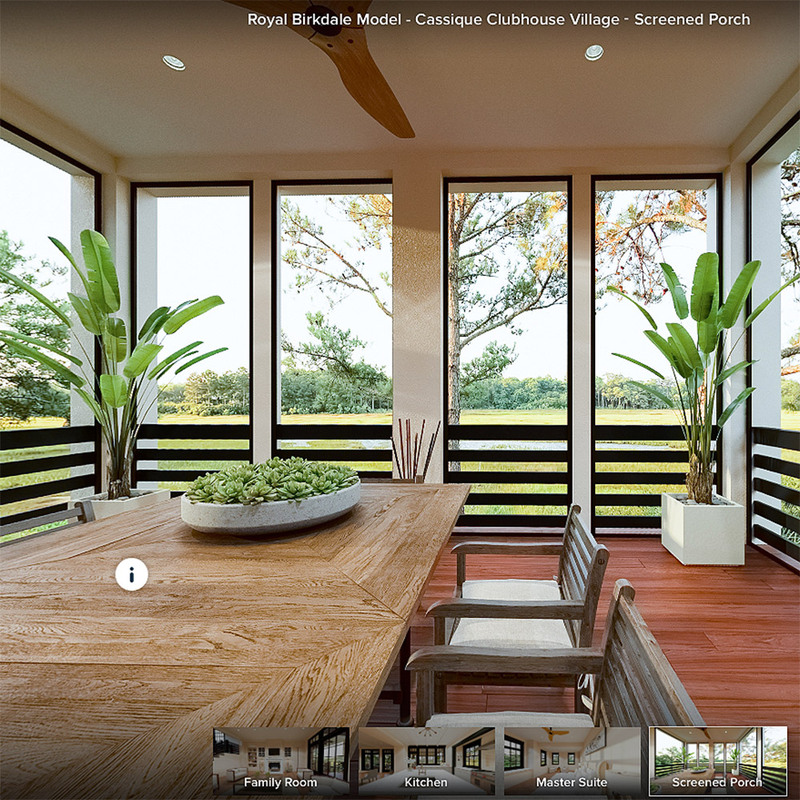 The neighborhood's virtual reality tours also gained Kiawah positive media exposure as a real estate firm on the cutting edge of technology; they were featured in a real estate virtual reality article by Forbes magazine and Charleston, SC's daily newspaper The Post & Courier.